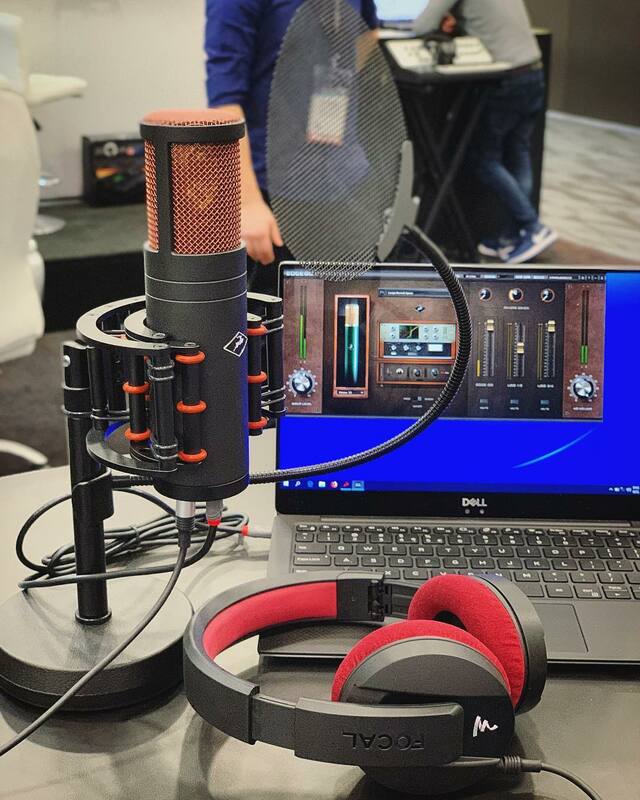 At NAMM 2019, Antelope Audio debuted three novel products: Edge Go, the world’s first modeling USB microphone; and new Orion 32+ / HD | Gen 3 flagship AD/DA converters. Edge Go, which leaked a few days ahead of the show, is an ambitious product. 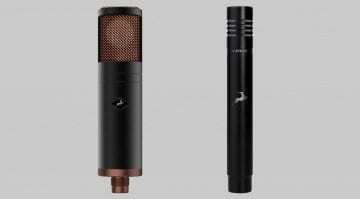 With it, Antelope claims to bring the fidelity and build quality of its Edge Duo large-diaphragm modeling condenser mic & effects library in a format suitable for today’s content creators. Fully powered over USB-C (though still Type-A compatible), Edge Go uses the same capsule while inheriting other Antelope technology, such as a discrete mic preamp, upscale AD converters, and the manufacturer’s FPGA FX platform for low-latency microphone and effects modeling. In other words, Edge Go comes close to representing a functional virtual recording studio on top of a high-end mic – which is certainly impressive. To ease its target user base into the complexities of voice and audio production, Edge Go comes with a selection of ready-made presets that contain effects chains built out of vintage EQ and compressor models, de-essing, gating, tape saturation, and reverb. The goal, says Antelope, is getting professional-sounding results quickly and not at the expense of CPU power. I like the concept, for realistically, the kind of accomplished podcasters, streamers and artists which will be able to invest in the USD 1595 mic can hardly find the time to educate themselves into bona-fide mix engineers, on top of their regular gig. Edge Go is scheduled for shipment in Q1. 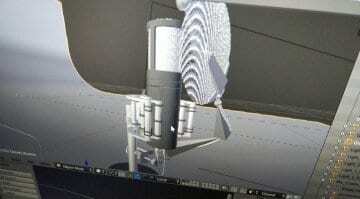 The package includes the modeling microphone, a desktop mic stand, professional pop filter, custom shockmount, USB-C cable, and hard shell carrying case. While the price tag may seem eye-watering considering the state of the USB mic market, I believe the Edge Go holds enough value to justify the expense. 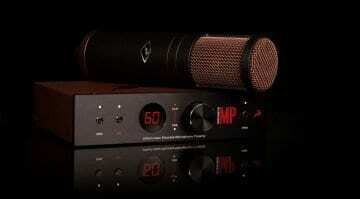 Still, let’s hope Antelope Audio will eventually offer a paired-down model for the many budding content creators out there who would love to sound better but cannot justify such an expense at this point in their journey. 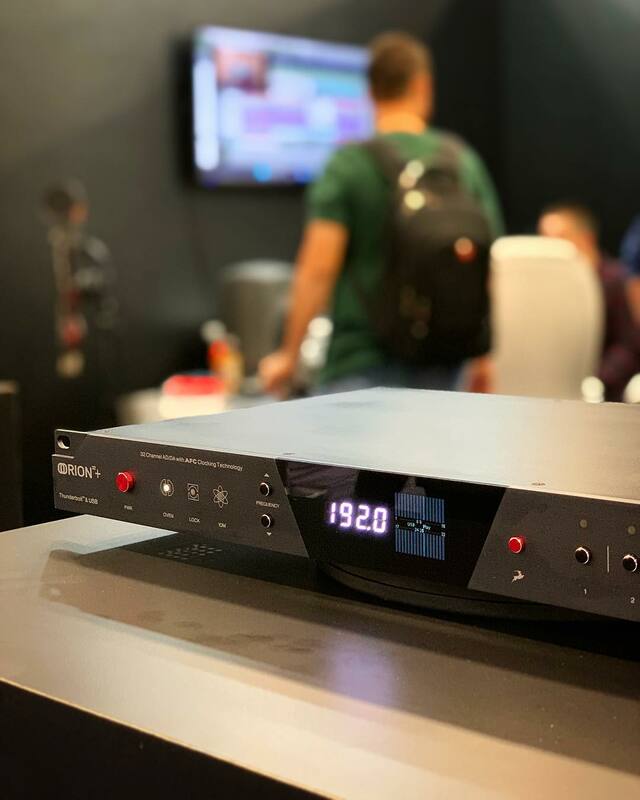 For the Orion32+ | Gen 3, Antelope Audio came up with elevated operating levels (+24dBu max) and upgraded the AD/DA converters. Apparently, it also cut down on the number of available FPGA FX in order to reduce the unit’s price, which is to be confirmed. Perhaps the manufacturer is looking to switch from its customer-friendly, but probably difficult to sustain “free effects” model into something which resembles UAD’s pricing strategy. But that’s just my speculation. 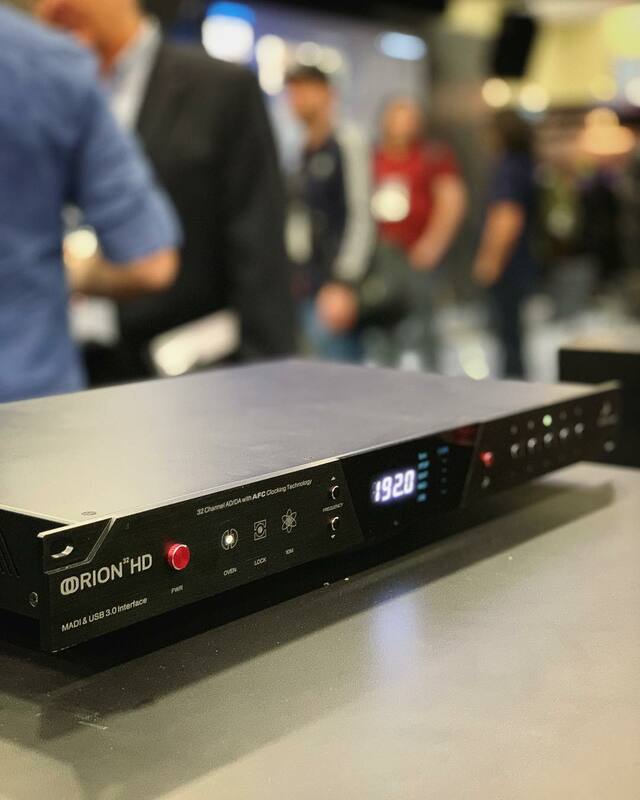 As for the Digilink-compatible Orion32 HD | Gen 3, Antelope claims the unit’s new AD/DA converters achieve a formidable 136dB dynamic range (measured at the Monitor outputs) – a figure I am yet to see in competing products. The new Orions will be shipping in the first quarter of 2019, with pre-orders at Antelope’s dealers due to begin soon. 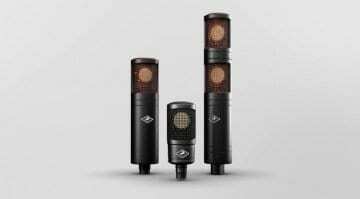 Leak: Antelope Audio headed to NAMM 2019 with an USB Edge mic?